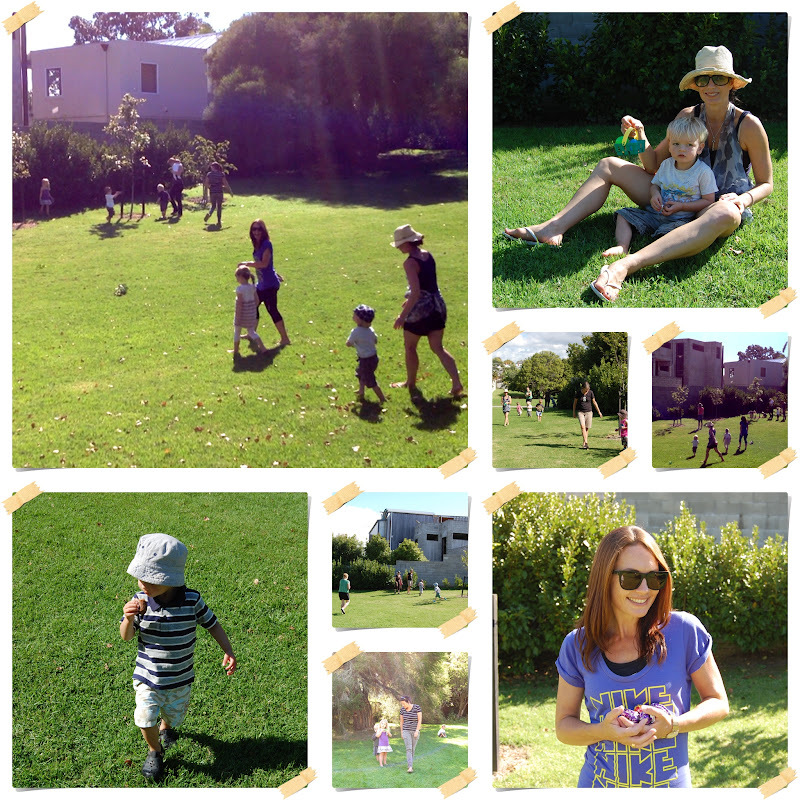 Easter did not finish for us until after our Easter egg hunt on Tuesday. 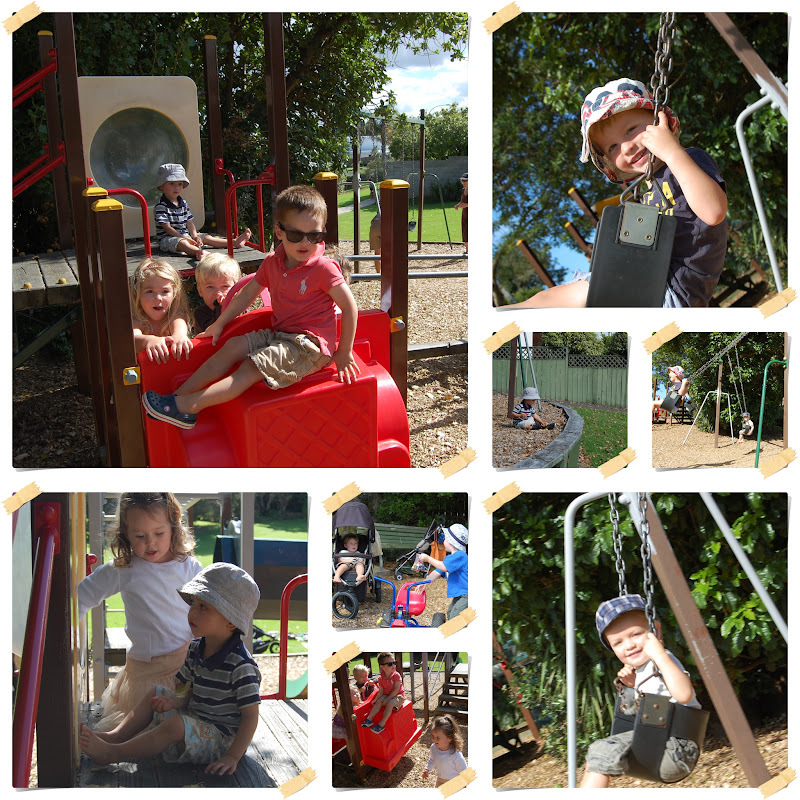 I arranged for my coffee group and playgroup pals to meet up at Salisbury Park for extended Easter fun. The weather was perfect (and I will never complain of too much sun or it being too hot ever again). 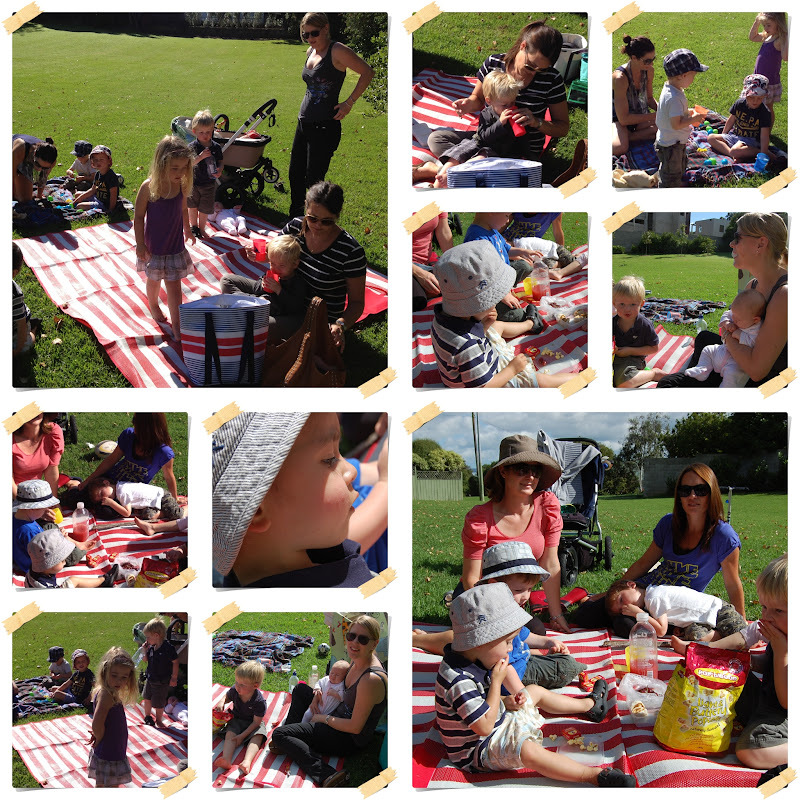 We had an impromptu picnic morning tea that everyone kind of threw together their snack boxes into a pile for the kids to share. There were a few other kids at the playground besides our group so I got them to join in on the action too. There were plenty of chocolate eggs to go around! It's lovely to see all the children enjoying themselves. After the park a few of us went to the Rabbit Hole cafe on Jervois Rd. 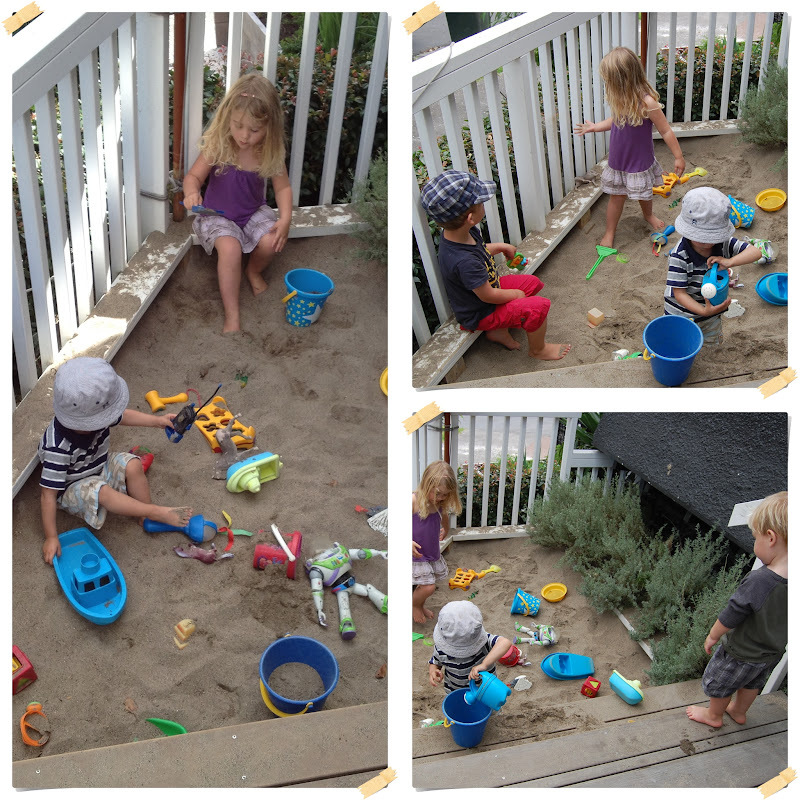 The kids played in the sandpit while we sat on the porch and had a spot of lunch. It was my cue to leave when Kien took at bucketful of sand and dumped it inside the cafe all over their floor. I'm guessing it was probably not the first time a kid has done that as they swept it up pretty quickly. We went to my friend Naadia's place in the afternoon and gave her kids the remainder of the eggs. It's just too dangerous having that much chocolate around in at my place when Kien has taken such a shine to the milky delicacy. 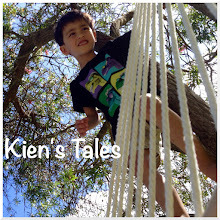 Linking up with other bloggers sharing their photos this week here. What an awesome big Easter party, is that you backgarden .. If it is wow I am jealous it looks like so much fun! What lovely pictures and it looks like everyone had a fabulous time. @Kelly-Marie I wish it was my back yard, but no, it's the local park and then the local cafe. Oh my - your header had this pregnant lady all teary. These photos are so great! Hooray for chocolate eggs! Looks like it was an awesome day! I'm jealous of the warm sunshine, as I look out my window at the snow coming down. Thanks for stopping by the Little Shack and following! I'm following back! What lovely pictures and looks like you all had such a lot of fun! lucky you!! looks like a fabulous day! when my kids were little my mom friends saved my sanity! !